Over the past year, our house has continued to get (and stay!) more organized. I’ve still got lots of problem spots to solve and share over the next year, but with each space I tackle, the house stays tidy a little longer, and becomes faster to pick up when things get a bit out of control. When I looked at my most popular posts from last year, I could see that organizing was a hot spot for most of you as well. Instead of having one best of the year post like I did last year, I thought it might be helpful if I broke them down into organization ideas and decor/diy ideas. The top decor ideas post is coming later this week. Today is all about organizing! 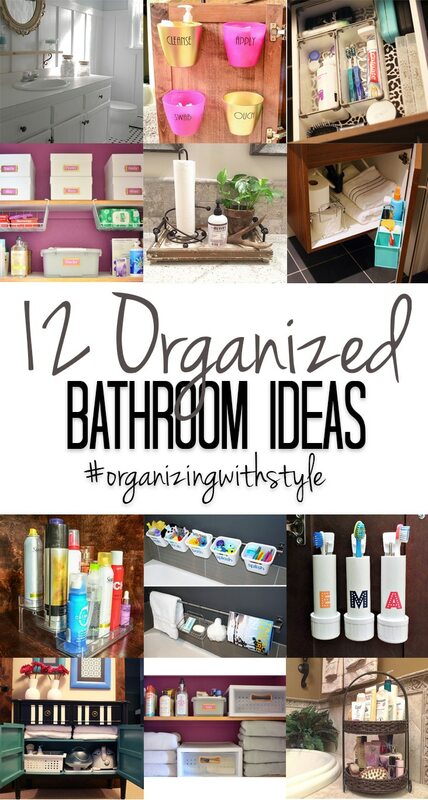 #1: Bathroom Organization – My most popular new post from last year was a project that didn’t take very long, or cost very much, but continues to make my mornings more pleasant every single day. As you’ll see if you visit the full post, the before was a BIG mess. 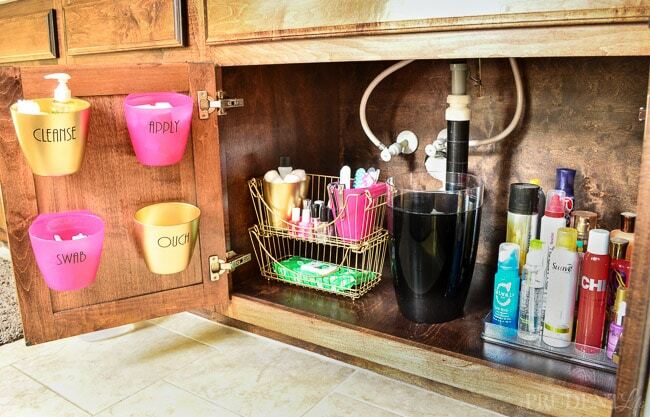 Anytime I opened the cabinet doors I was frustrated, and so much of the clutter just stayed on the counter top. While I’m still not perfect at keeping the counter clear all the time, it’s MUCH better and quick to restore to order. 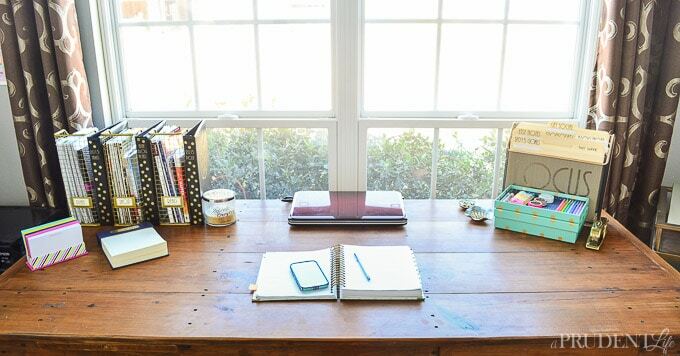 #2: Desktop Organization – It seems that desks are another area many of us struggle to keep clutter-free. This post was before our full office makeover, but contains lots of helpful tips for keeping your workspace neat. 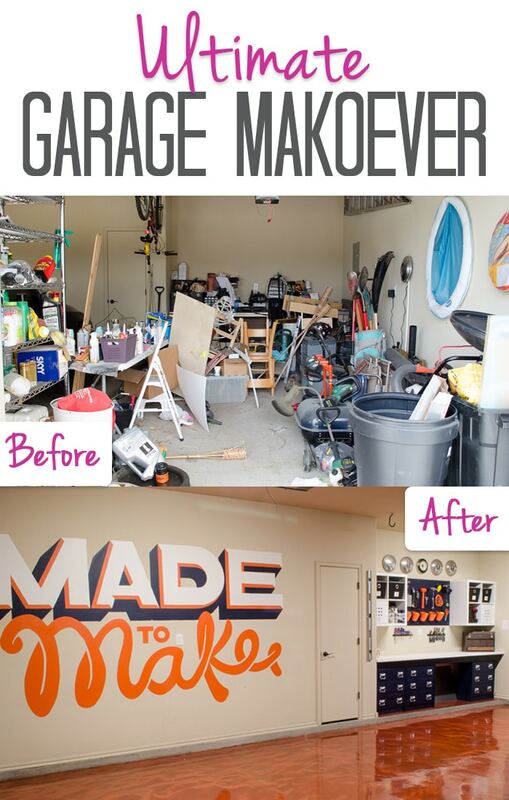 #3: Garage Makeover – I’m still a little amazed we pulled this one off. It was a little hard to put time and money into the garage when we have rooms in need of love inside the house. It turned out to be the best decision we could have made. Every project since the garage organization has been SO much easier because we know where things are AND we have room to work. Yes, it absolutely still gets messy during projects, but everything has a place, so clean up is less intimidating. 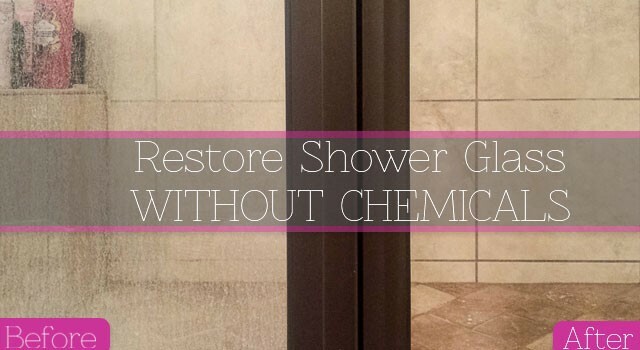 #4: Cleaning Hard Water on Glass Shower Doors – This one isn’t exactly organizing, but it deserved recognition as one of the most popular posts of the year. PLUS, it actually had an indirect effect on the neatness of the rest of the bathroom. Have you ever heard people say “like attracts like”? Well, this year I’ve realized how true that is when it comes to our homes. When the shower glass was at such a horrible point, I subconsciously let the rest of the bathroom stay cluttered most of the time. It wasn’t a decision I made, but I think I knew it wouldn’t look as good as I wanted, so why bother. Clearly that isn’t the most sane way to operate the house, but I’ve noticed I do it time and time again and would bet that I’m not the only one. 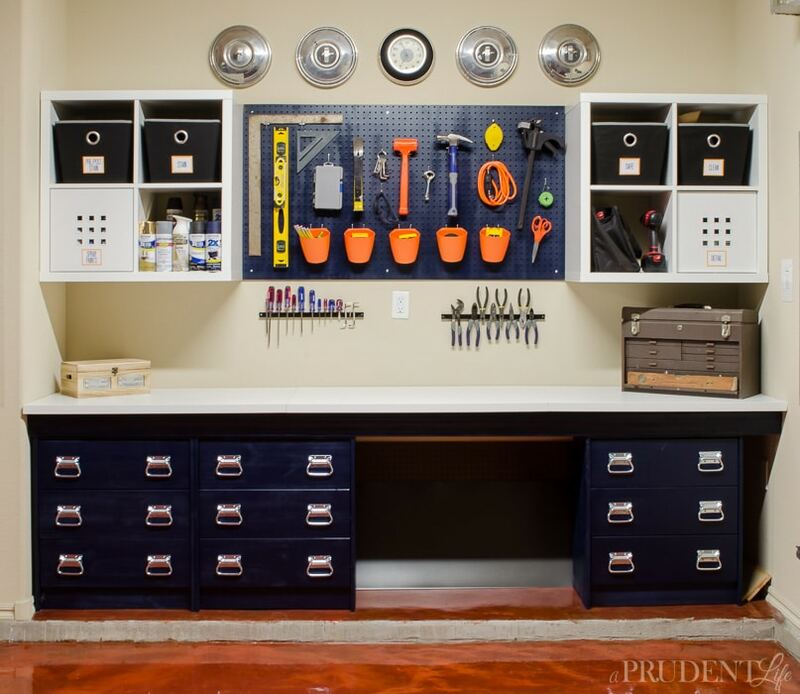 # 5: DIY Garage Workbench – My favorite part of the garage is the IKEA-hacked workbench and storage area. All of the frequently used tools and supplies live here, and we were able to squeeze in tons of storage without spending tons of money. 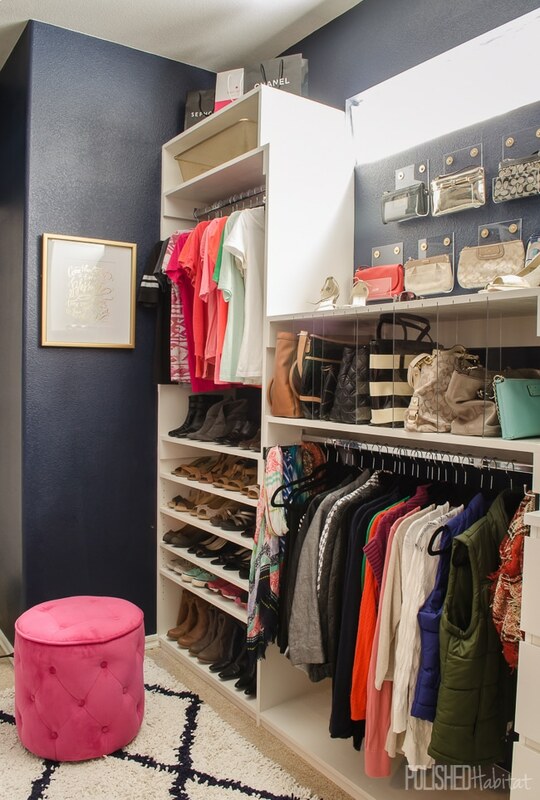 #6: Master Closet Reveal – Ah, the crown jewel of my year. Since it’s a new project, it was a ways down the most popular posts of the year list, but if I could only have one of the projects on the list, it would be this one. It was the most challenging thing we’ve ever attempted. The design was challenging because it’s a weird shaped space. Building all the shelves was challenging. The fact that none of the many corners of the room were square was challenging. Heck, even the insane amount of painting (4.5 gallons) was challenging. But, I can’t imagine anything more rewarding than all the hours of mental and physical labor culminating into my dream vision of a glam closet coming to life. The “before” space had become a space I didn’t even want to enter. Which meant I didn’t want to do laundry, because I’d have to find a place to put things once they were washed. It’s only been two months, but so far putting laundry away is still pretty fun now. 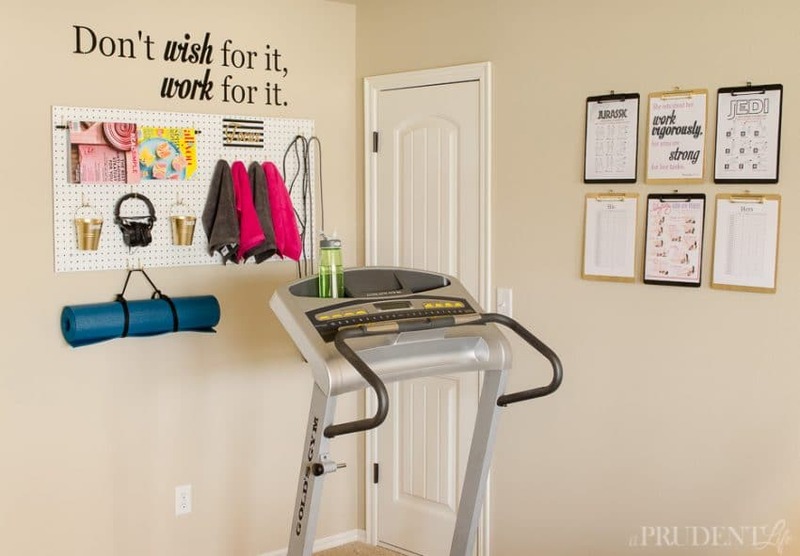 #7: Organized Home Gym – Hmm. This space is sadly my LEAST used organizing project on the list. It still looks great and makes me smile when I see it, until the guilt hits that I don’t use it often enough. I’m working on a new morning routine for 2016, and plan to incorporate this corner into my day. 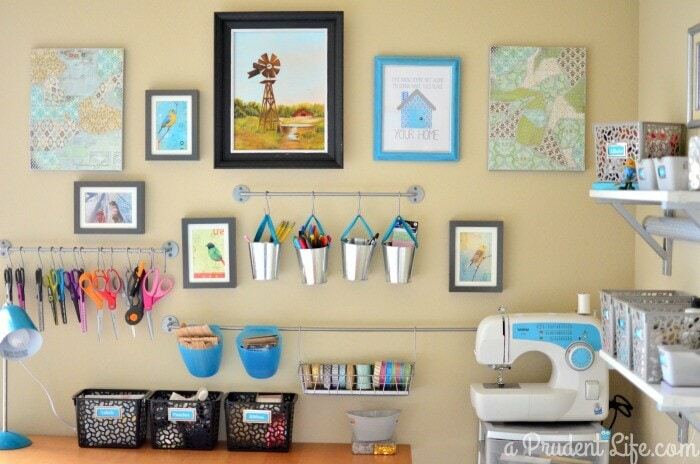 #8: 12 Laundry Room Ideas The next two popular organizing posts came from a hashtag challenge I hosted this fall. 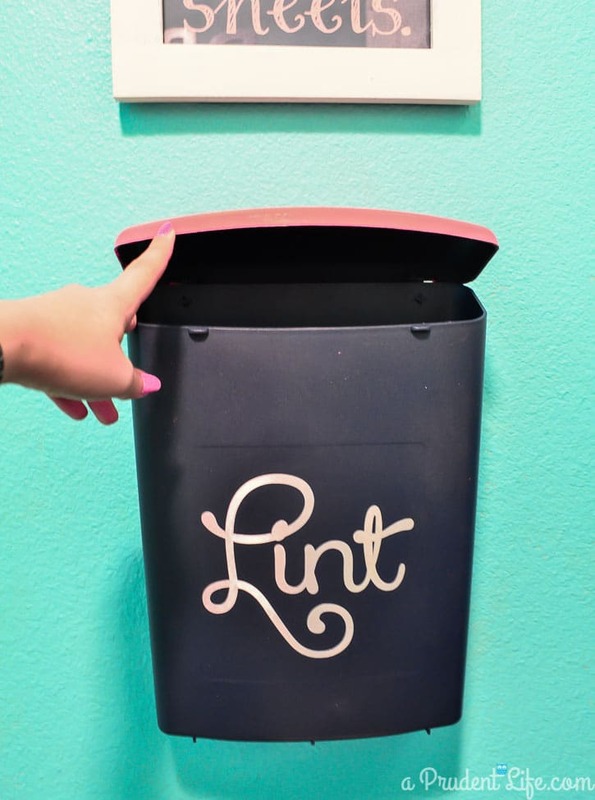 Each week, Angela from Blue i Style and I would announce a theme, and anyone on Instagram could share their organizing ideas related to that theme. We ended up with tons of inspiration and shared our favorites each week. 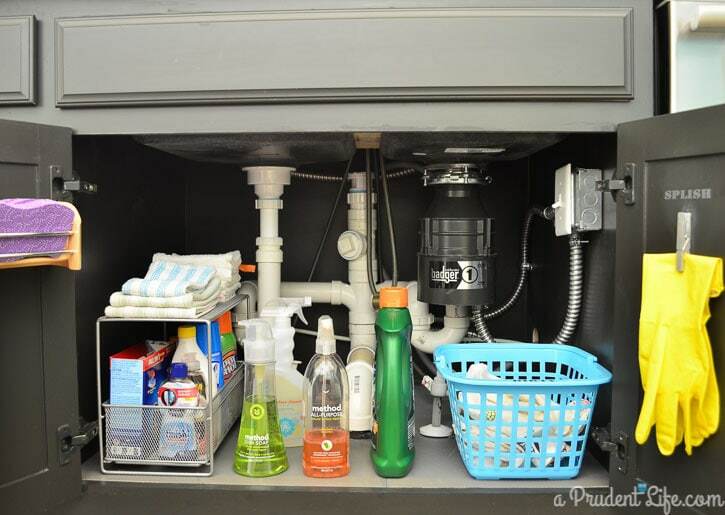 #10: Cabinet Door Organization – Cabinet doors are such an under-utilized space in most homes. Once I started using mine to organize, I couldn’t stop. I gathered up 9 of my favorite ideas into one post last year. But I’m not done yet, watch for more ideas for using doors this year. I’ve even got at least one new one planned in our house this month! #11: Top Guest Post: Free Time Blocking Printable – The most important thing for all of us to organize every day is our time. It’s our most precious resource, and I hate feeling like I’m wasting it. Abby from Just a Girl and Her Blog guest posted here in May and shared a free printable that has been HUGELY popular. I couldn’t do this post without mentioning it! All the organizing posts below were written before 2015, but continue to be really popular on Pinterest. If you just started reading this year, you might have missed them! 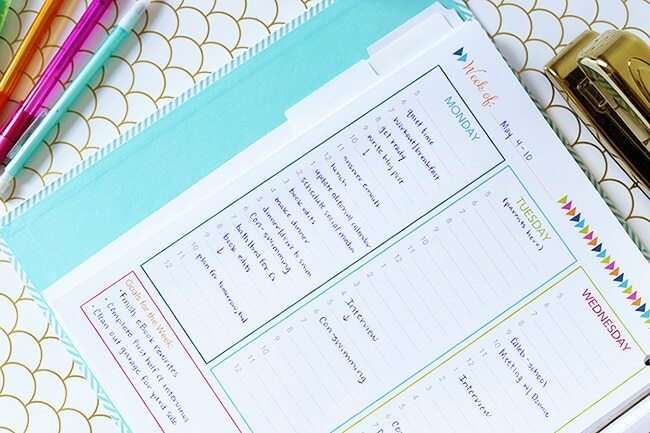 Whew, are you inspired to tackle your problem spots this month? 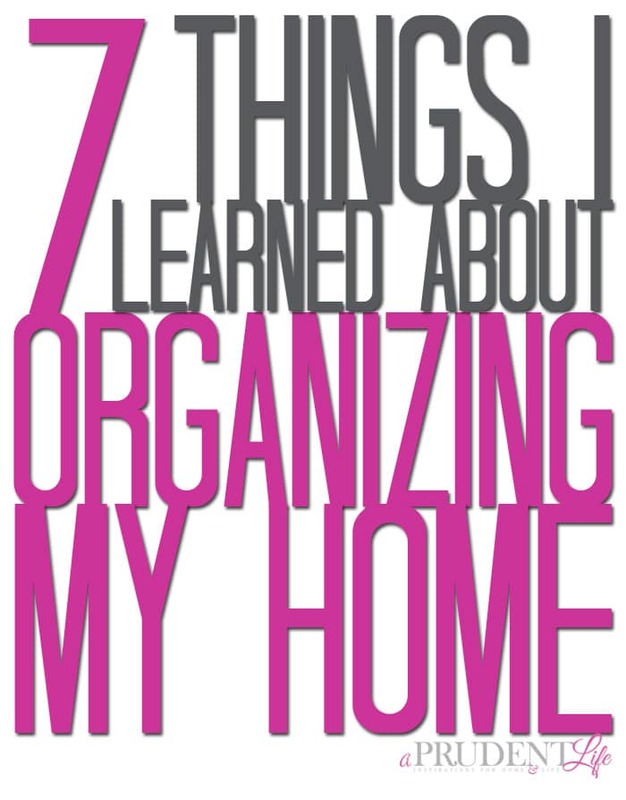 I’ve got new organizing ideas planned to share later in January and I can’t wait to get started on them! Make sure you are signed up for the email list so you don’t miss them! 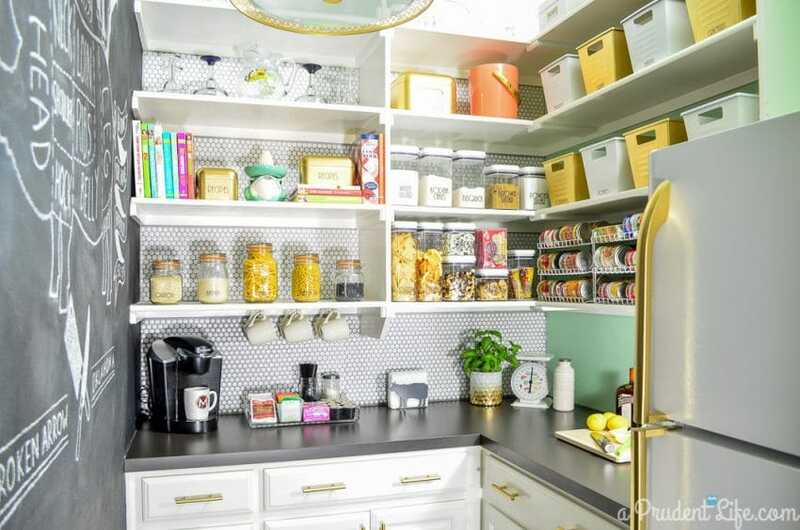 UPDATE: To see the top organizing ideas from 2016, click here! Oh my goodness ~ what fabulous tips! I love the garage the most. But my laundry room totally needs a makeover! I love your work. Looking at organized spaces makes me feel calm. The difference with you is that you acknowledge that you are naturally a messy person. Sometimes you see a naturally neat person organize a space for a messy person and while I love a good before and after I find your posts more helpful. Other times people just tell you throw everything away, all you need is a bowl, a spoon and a bottle of apple cider vinegar, you actually have stuff! I love your decorating style, as well. Thank you for sharing part of your life with us!